Lane Street Soccer Field is the home of Bucyrus Area Youth Soccer club. 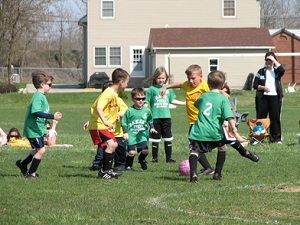 The soccer club has over 300 players from ages 5 to 18; on 28 teams. The Lane Street Soccer Field was recently able to expand after the City of Bucyrus utilized a FEMA grant to demolish flood damaged homes in the area.